When we are emotionally healthy, we bob back up from life’s lessons with calm and confidence. When we are stuck in the emotion of the past we get into knots, can’t think straight and get stuck in cravings, worry, unwanted behaviours and the stress that can give rise to illness. Maintenance of an emotional garden is a process of weeding and planting. Fortunately we now have EFT to clear the weeds of anger, hurt and fear that are sown in times of stress and truama. Similarly we can free ourselves of the constraints of outdated or false truths formed early in life. Once we free ourselves from the past – which is to be learned from not lived in – we can nurture our joy and creativity and plant the seeds of our dreams. 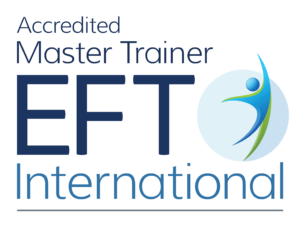 EFT gives you a practical tool to dump your emotional baggage for good. You can then realise your potential for happiness and creativity: at work, in loving relationships and in all aspects of life. We all want to move forwards. However, locked in emotion, dating back to times of difficulty and stress, can keep us looking backwards (like driving looking in the rear view mirror all the time). We get stuck in the emotional and behavioural reactions of the past. It can feel like we are reliving the shock and stress: we can’t think clearly and we feel out of control. EFT is Everybody’s Freedom Techniques. A simple process of talking and tapping on face and body points that is easy to learn. When used skilfully the effect is like Emotional WD40. Stuck feelings and thoughts are loosened so that calm and rationality can return.